On Sunday, the kids decided they wanted to go ice skating. This time Kayla and Kim joined us. Previously, they were in the middle of nap time and didn’t join our snowy adventure on the sledding hill. Leadville has a nice ice skating park at the west end of 5th street. Its a couple bucks and you can rent skates. 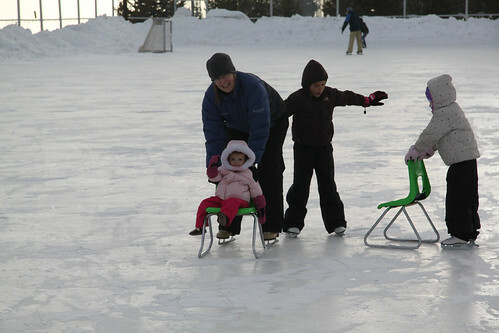 Everybody got out and was on the ice and having fun. 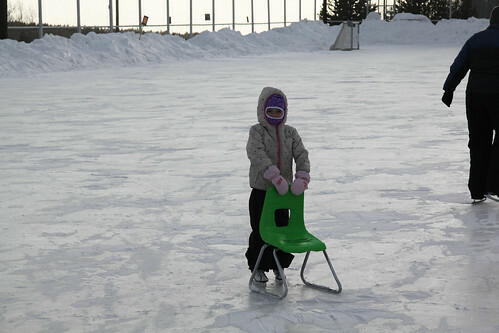 Reagan found her favorite way to safely travel on the ice! Leadville Ice Skating from Brandon Fuller on Vimeo.